Innovative, versatile and practical solution. 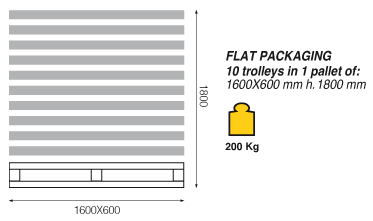 The solid and stable structure gives this trolley a 120kg load capacity. 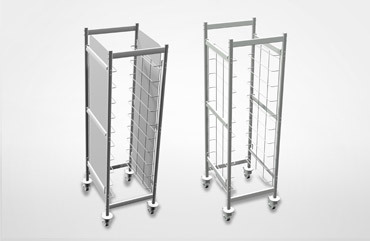 Both the side walls made from foodgrade plastic and the chrome racks can be removed effortlessly to allow the trolley to be cleaned thoroughly.